© 2019 CURZON ARTIFICIAL EYE. ALL RIGHTS RESERVED. You are about to leave this site to visit the exhibitor site that you selected. This movie has been released. One of world’s most visionary, celebrated and influential filmmakers, Andrei Tarkovsky made just seven features before his tragically early death at the age of 54. Characterised by metaphysical and spiritual explorations of the human condition, each film is an artistic masterpiece of extraordinary visual beauty and stand as enduring classics of world cinema. Screening from pristine new digital prints, the Russian auteur’s seven films will be showing at selected cinemas across the UK and Ireland from 20 May. Accompanied by newly commissioned posters, trailers, essays and short films, as well as a series of talks and events taking place around the country, Sculpting Time will examine these classic titles through a contemporary lens, introducing new audiences to these timeless cinematic landmarks. Andrei Tarkovsky’s Venice Golden Lion winning debut feature is an extraordinarily moving and powerful story of war and revenge. Determined to avenge his family’s death at the hands of the Nazis, 12-year-old Ivan joins a Russian partisan regiment as a scout, where he becomes indispensable for his ability to slip unnoticed through enemy lines. But as his missions become increasingly dangerous, it is decided that he must be removed from the front line. Ivan resists and convinces his commanding officers to allow him to carry out one last expedition. Widely regarded as Andrei Tarkovsky’s finest film, Andrei Rublev charts the life of the great icon painter through a turbulent period of 15th-century Russian history which was marked by endless fighting between rival Princes and Tatar invasions. Made on an epic scale, it does not flinch from portraying the savagery of the time, from which, almost inexplicably, the serenity of Rublev’s art arose. The great set pieces – the sack of Vladimir, the casting of the bell, the pagan ceremonies of St. John’s Night and the Russian crucifixion - are tours-de-force of visceral filmmaking. On a space station orbiting the ocean-covered planet Solaris, cosmonaut Kris Kelvin arrives to investigate a series of mysterious and bizarre occurrences among the crew. What he discovers are supernatural phenomena that cause repressed and haunting memories to take on physical form, including that of Kelvin’s late wife. Through her, Kelvin attempts to communicate with the forces responsible which appear to be emanating from the mysterious planet itself. Director Andrei Tarkovsky transcends the normal conventions of the science fiction genre, resulting in a moving and unsettling vision of memory and humanity which has often been compared to Stanley Kubrick’s 2001: A Space Odyssey. Mirror is the celebrated Russian director Andrei Tarkovsky’s most autobiographical work in which he reflects upon his own childhood and the destiny of the Russian people. 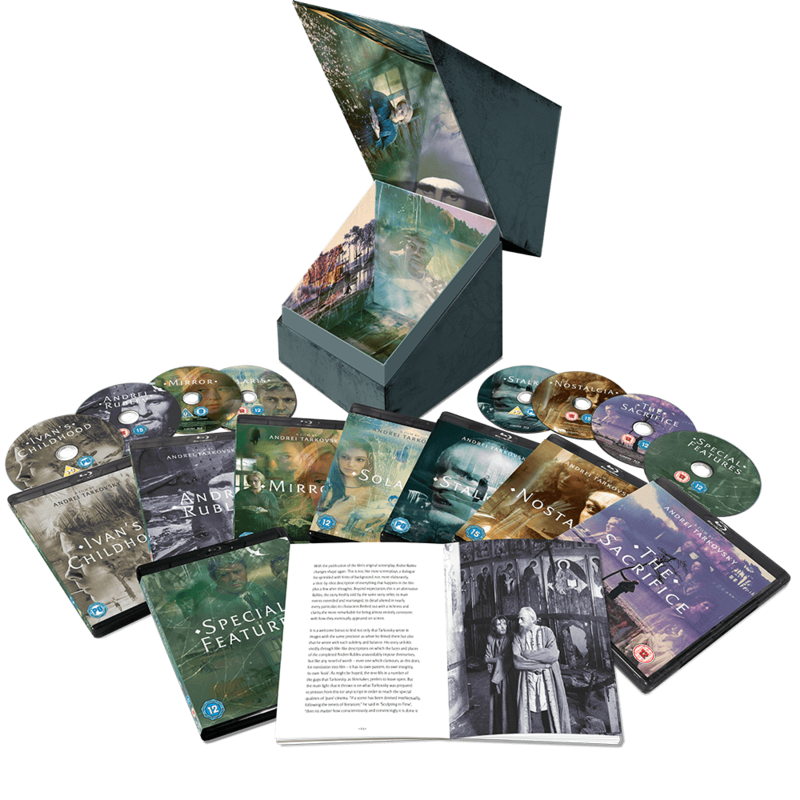 The film’s many layers intertwine real life and family relationships – Tarkovsky’s father, the poet Arseny Tarkovsky, reads his own poems on the soundtrack and Tarkovsky’s mother appears as herself – with memories of childhood, dreams and nightmares. 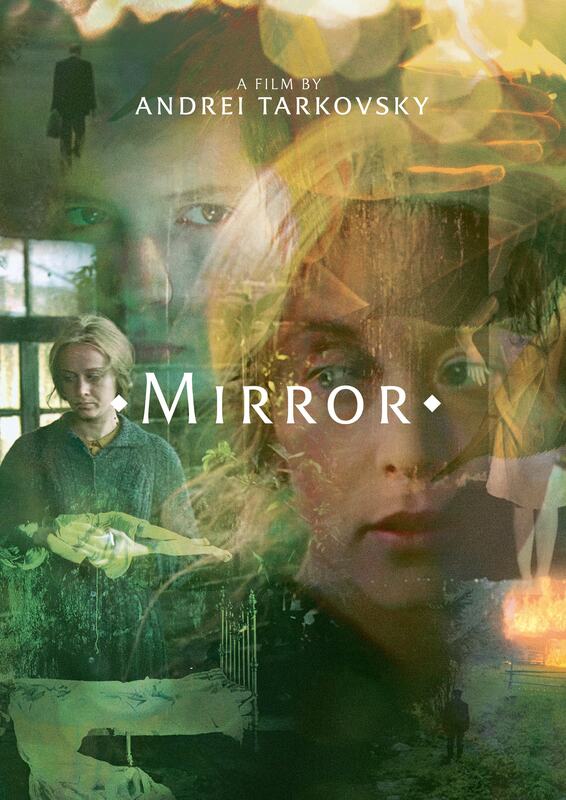 From the opening sequence of a boy being cured of a stammer by hypnotism, to a scene in a printing works which encapsulates the Stalinist era, Mirror has an extraordinary resonance and repays countless viewings. Deep within the Zone, a bleak and devastated forbidden landscape, lies a mysterious room with the power to grant the deepest wishes of those strong enough to make the hazardous journey there. Desperate to reach it, a scientist and a writer approach the Stalker, one of the few able to navigate the Zone’s menacing terrain, and begin a dangerous trek into the unknown. Adapted from Arkady & Boris Sturgatsky’s novel ‘Roadside Picnic’, Andrei Tarkovsky’s second foray into science fiction after Solaris is a surreal and disturbing vision of the future. 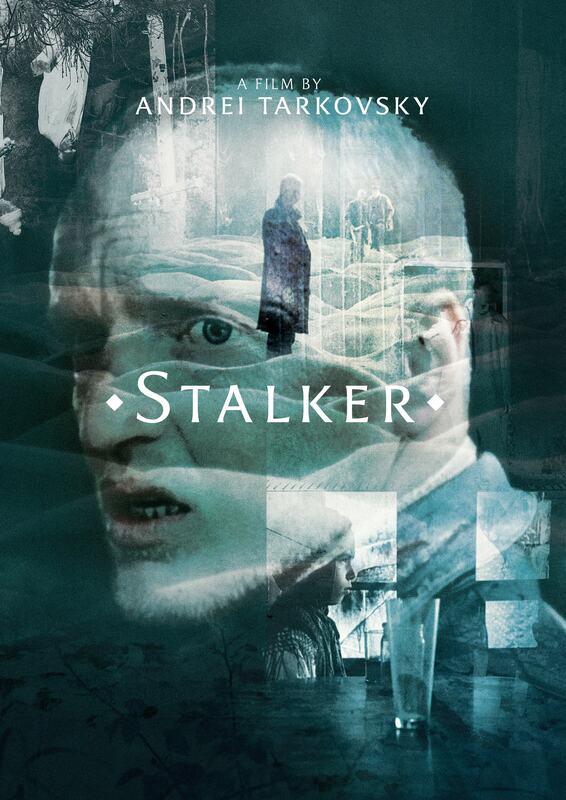 Hauntingly exploring man’s dreams and desires as well as the consequences of realising them, Stalker has been described as one of the greatest sci-fi films of all time. 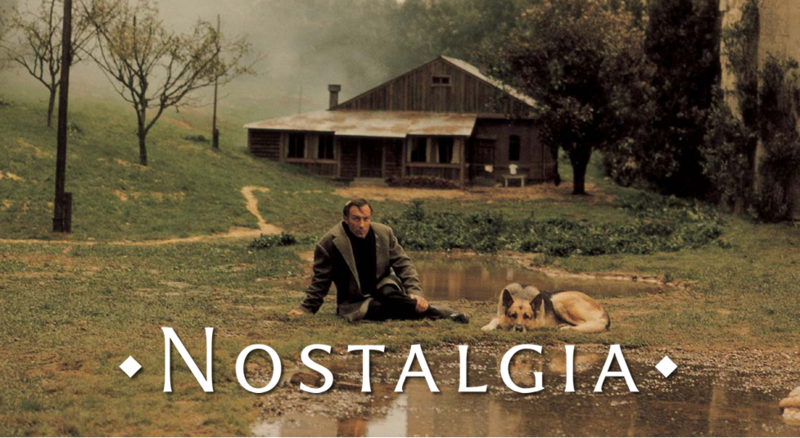 Andrei Tarkovsky’s unforgettably haunting film, his first to be made outside Russia, explores the melancholy of the expatriate through the film’s protagonist, Gorchakov, a Russian poet researching in Italy. Arriving at a Tuscan village spa with Eugenia, his beautiful Italian interpreter, Gorchakov is visited by memories of Russia and of his wife and children, and he encounters the local mystic who sets him a challenging task. 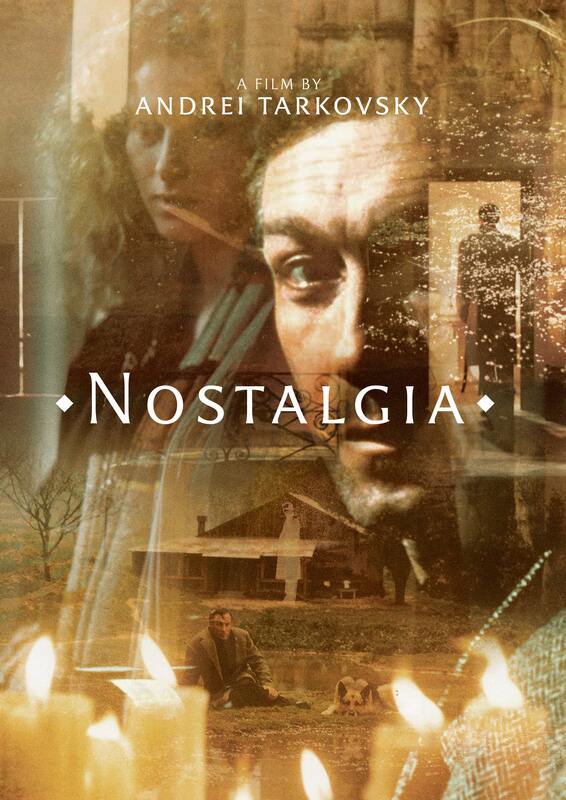 Nostalgia is filled with a series of mysterious and extraordinary images, all of which coalesce into a miraculous whole in the film’s final shot. As in all Tarkovsky’s films, nature, the elements of fire and water, music, painting and poetry all play a major role. Andrei Tarkovsky’s visionary final film unfolds in the hours before a nuclear holocaust. Erland Josephson, in an award-winning role, plays retired actor Alexander who is celebrating his birthday with family and friends when a crackly TV announcement warns of an imminent nuclear catastrophe. Alexander makes a promise to God that he will sacrifice all he holds dear, if the disaster can be averted. The next day dawns and, as if in a dream, everything is restored to normality. But Alexander must keep his vow. Among many other awards, The Sacrifice won the Cannes Grand Prix in 1986, the same year that Tarkovsky died of cancer in Paris at the age of 54. 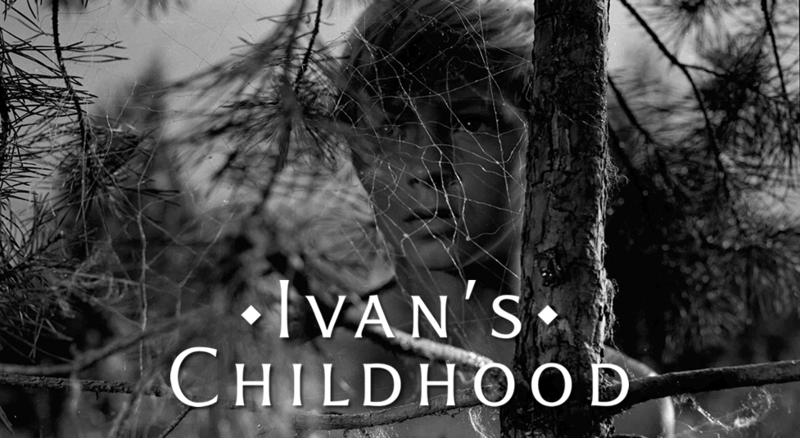 Andrei Tarkovsky's debut feature Ivan's Childhood (aka My Name Is Ivan) was described by the Guardian’s Philip French as “one of the great movies about the horrors of the second world war”. Based on a short story by Vladimir Bogomolov and shot in the damp bleakness of Belarus' Pripet Marshes, it's an account of the travails of the titular 12-year-old boy, who is used as a scout by the Soviets after his parents are killed by the Nazis. Tarkovsky described Ivan – played by the unnervingly accomplished Kolya Burlaiev – as “a character created and absorbed by war”, someone whose life was in constant conflict. And it is. Apart from the strangely arresting opening scenes of him playing on a beach, Ivan and the older officers caring for him – captain Kholin, lieutenant Galtsev and corporal Katasonych – his war is presented as a never ending cycle of daily nightmares and nightly terrors where he's haunted by what has befallen him. When he plays, it's to act out the fantasy of avenging his parents, while his school yard is the war soaked marsh that surrounds the action. The film introduced Tarkovsky as a director who took imagery and cinematic vividness, which was called “utterly personal and surprisingly spiritual, even transcendent” by the New Yorker, to new levels. 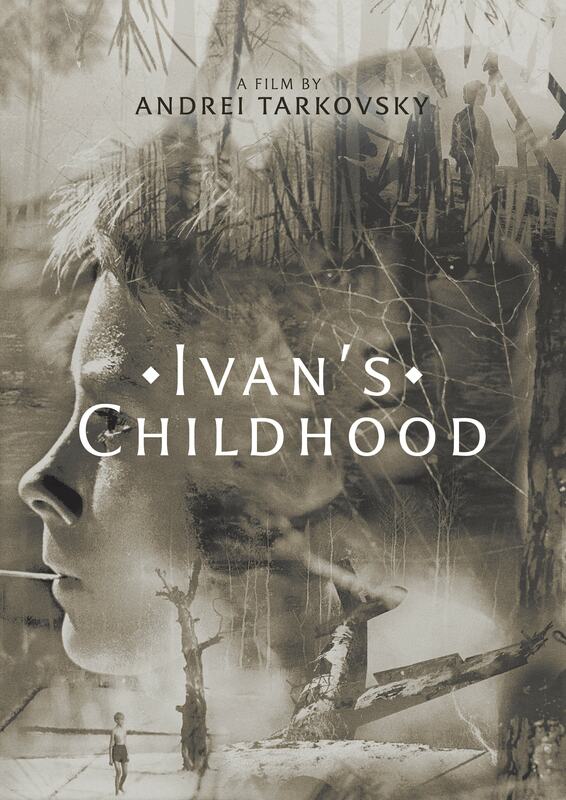 Flashbacks to Ivan's Childhood aren't simply a way to fill in the blanks and to explain his actions, they're opportunities to put the camera where it usually doesn't venture and create moments that weren't just calling cards but a blueprint for one of cinema's most iconoclastic careers. The horrifying well scene, when Ivan falls into the watering hole, is cinema as fever dream, while Kholin kissing the army nurse Masha as he holds her over a trench in a forest of birch trees is as beautiful as the aforementioned well scene is harrowing. As a Soviet film, Ivan's Childhood took a divergent course by placing the individual front and centre. The war, although always lurking in the background, is the setting for a young boy's tragedy, one which drags the soldiers in too and forces them to contemplate their decision to keep a young child near conflict. While other Soviet second world war films, such as The Ballad of a Soldier, captured the world that revolves around conflict – romantic or otherwise – Ivan’s Childhood forces viewers to confront the horror without flinching and in a manner never before seen. Religion is no longer the heart of social life, but in 1966 Andrei Tarkovsky used the semi-biographical, medieval setting of Russian icon-painter Andrei Rublev to express a worldly Christianity that encompasses everyone, even non-believers. Rublev (played by the craggily handsome Anatoly Solonitsyn) is an artist, a monk and a wanderer. The film is a chronicle of what he sees over a period of 24 years marshalled into eight parts. There are long sequences in which a first-time viewer may struggle to understand a scene’s significance to the overall story. This doesn’t matter. The atmosphere transmits more than any sub-plot, character or exchange. What seems like a challenging runtime contains nothing extraneous, but this is only clear in retrospect, when you cast your eye back over the meticulously crafted landscape. All that happens in the film contributes to the spirit of the artist. All that he has witnessed and endured years to him, hours to the viewer – give rise to a payoff that is as pure an illustration of redemption as anything I have ever seen. But what exactly came before? What do you watch when you watch the film? It’s hard to write calmly or clearly about a work of filmic art which has a perspective that binds the tiny and the tremendous in endless symbiosis. Tarkovsky depicts the difficult labour that serious industry requires (the last hour shows the building of a large bronze bell), but the whole is concerned with the shape of life – showing in long gracefully shot sequences, Andrei’s encounters with naked pagans, violent royals, dogs, horses, men, women and children. The most infamous fact about Andrei Rublev is that you see a horse (which Tarkovsky bought from an abattoir) killed on screen. During battle, the noble beast collapses down a flight of wooden stairs, then lands on a spear – its fall caused by a bullet fired out of sight. The scene lasts less than ten seconds. The sacrifice was for a flicker of celluloid. This anecdote is indicative of the whole, grave procession, which took six years to realise. Everything is rooted in preparation that spans way beyond the film world. Everything is in black and white until it meaningfully attains colour. The breadth and depth of natural vistas are so spectacular that it’s sometimes hard to concentrate on foreground conversations, although each wagging tongue is an extension of each character’s soul. 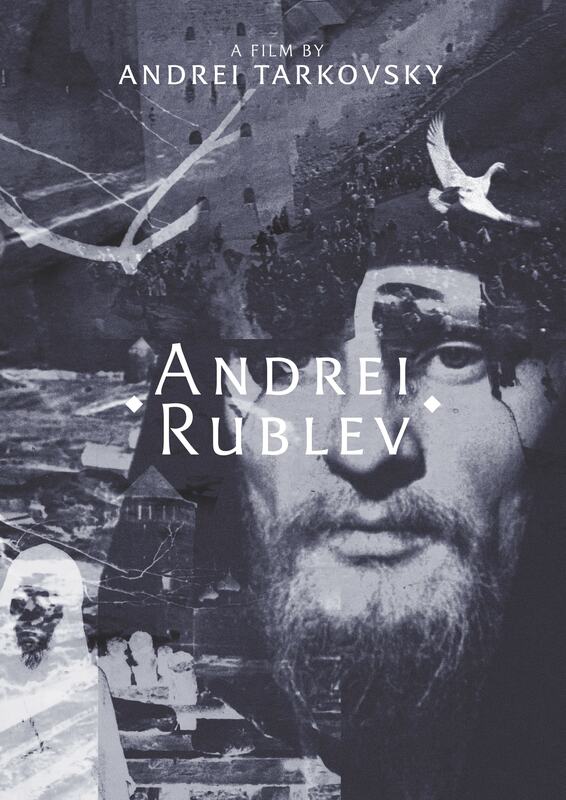 Andrei Rublev’s main stress is over his own moral value and the fate of the Russian people. There are countless faces in this film, all lingered over lovingly, whether on screen for seconds or hours. 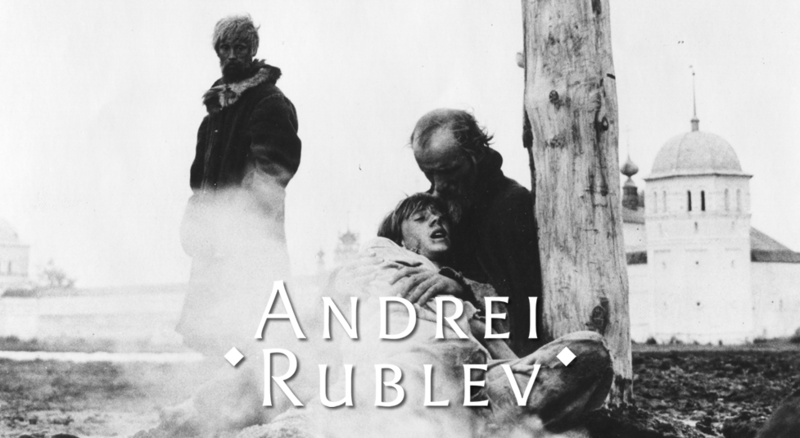 Andrei Rublev (the film and the man within the film) is about love. Not earthly love, and certainly not sexual love, but a type of fraternal kinship that finds release from personal burdens by sinking into the mud to comfort another. Andrei Rublev (the film and the man within the film) is also about the point at which after years of bearing witness in a state of speechless despair hope, wisdom and talent alchemise to create an enduring work of art. Deeply embedded in any contemporary cineaste’s reception of Tarkovsky’s inner space epic is another takedown by Tarkovsky. Namely his criticism of Stanley Kubrick’s 2001: A Space Odyssey (1968) “for being too enamored by the spectacle of the genre, for being too exotic, too immaculate” and his explicit disdain for the concept of genre in general and the west’s take on science-fiction in particular. Some decades later, in 2009 when director Lars von Trier made what film publication Variety called his “big fat art-film fart”, Antichrist, the review from its premiere press screening in Cannes reported catcalls and boos which were particularly loud when the credits revealed a dedication to Tarkovsky. 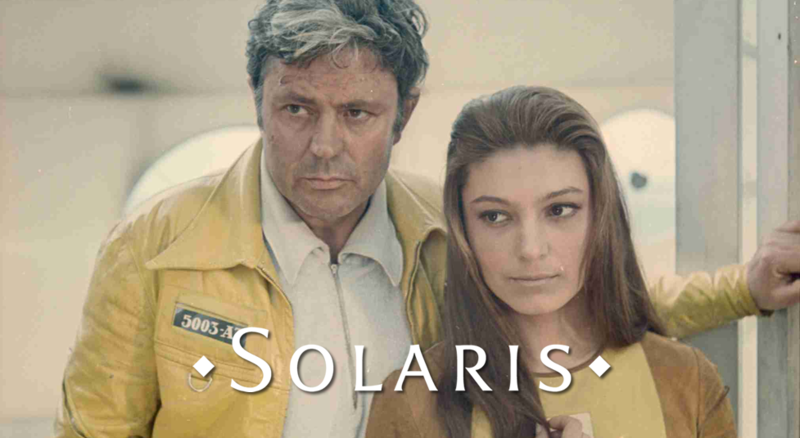 With all this macho jeering, it might be easy to think there is nothing in Solaris, or indeed in Tarkovsky, for the female spectators. 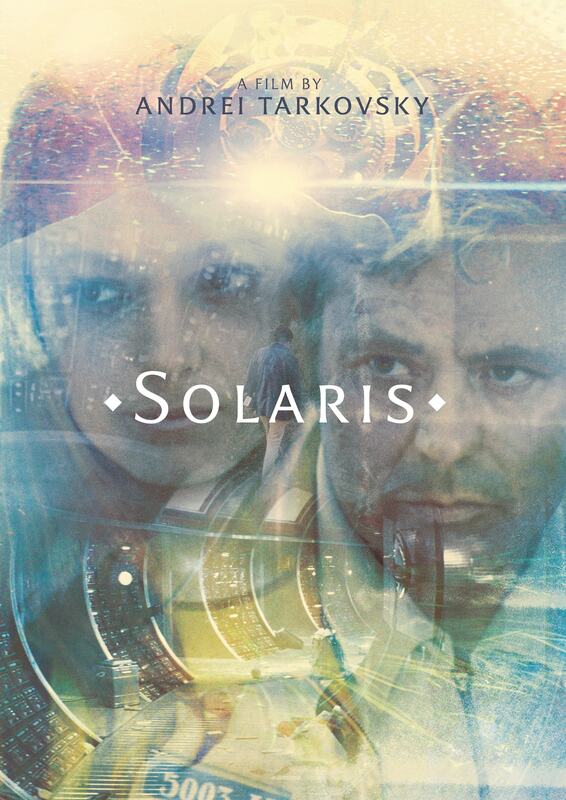 At a screening of Solaris I once attended, a discussion took place afterwards on the influence of Tarkovsky and him as a ‘filmmaker’s filmmaker’. A question from the audience asked the panel’s thoughts on why Tarkovsky’s was so often cited by male directors as an influence. From Von Trier to Carol Reygadas, Terrence Malick to Alexander Sokurov. Was there something that made the films resonate more meaningfully with men rather than women? It seems fascinating to think about this question now and see if the rise of feminist film theory in the years since the film was produced might have added another dimension to the meanings the film might have today. Lopate’s comparison to Vertigo gains special relevance when we realise that the same year Solaris was produced (1972), feminist film theorist Laura Mulvey began work on her seminal text ‘Visual Pleasure and Narrative Cinema’ (later published in 1975), where she explored the idea of the male gaze in cinema, famously unpicking this gaze through her reading of Vertigo. The ideas in Mulvey’s text - now over 40 years old, and expanded on by many wonderful scholars of both sexes over the years – are my guide map when making my way to Solaris today. This map shows the landmarks of patriarchal critical acclaim as well trod pathways, and invites me on a less travelled path. The monument to meaning at the end of this pathway is here is Natasha Bondarchuk’s extraordinary performance as Hari: one that has gained some extraordinary resonance when in 2010 Bondarchuk revealed she had an affair with director Tarkovsky during the shoot, and attempted suicide when they split in 1972. So when you go on the journey to Solaris, take this map with you. Make like Tarkovsky and sculpt in time to mould your perspective. Make your way through the multiple gazes on Hari, and Bondarchuck, to see them both for yourself. In Mirror, Andrei Tarkovsky’s legacy for unforgettable imagery finds its purest form. This intensely autobiographical work, which channels the filmmaker’s childhood memories as well as his father’s own memoirs, is structured as a dreamlike mood poem, progressing by means of associative leaps rather than a strict cause and effect logic. It helps to unshackle the images, affording them a freedom to work as standalone compositions. For Tarkovsky, these images held deeply personal meanings, rooted to his family history as well as culturally specific notions of Russian identity. But in their startling simplicity, such images have repeatedly proven to be profoundly relatable and endlessly moving for a broad range of filmmakers and cinephiles. 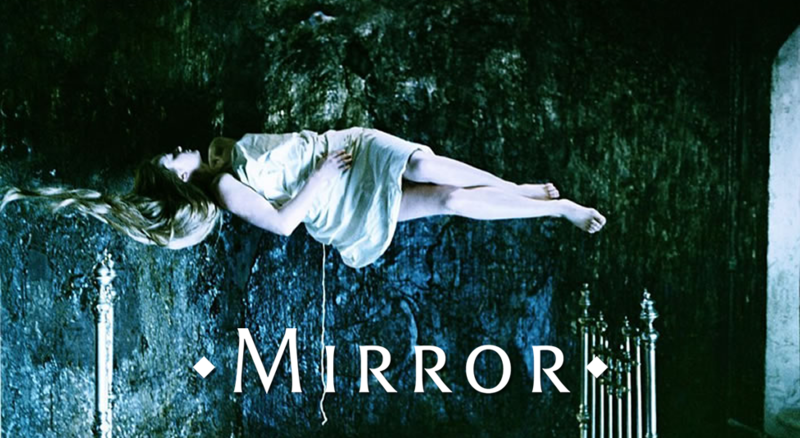 In Sight & Sound’s most recent ‘best ever films’ poll, Mirror was voted 19th by critics and ninth by other directors. The painterly compositions presented in Tarkovsky’s most challenging and rewarding film may defy explanation in narrative terms: a burning barn watched on from a family home, a woman levitating from her bed as she sleeps, a fingerprint shrinking from a tabletop. Though powerful and absorbing in themselves, such moments are only enriched by their juxtaposition. Tarkovsky weaves through this fabric in such a way that opposites don’t so much collide as merge: peacetime and war, the domestic and the social, the past and the far past. Otherwise ordinary scenes, such as a wind gliding through trees, become strangely haunting, as if the elements are being controlled. Tarkovsky knew that the magic of memories was that they’re always half-fabricated, distorted, allowed to blur into one another like a thick soup. We are guided through this by a masterfully imaginative, rhythmically precise soundscape, in which voiceover utterances of “Papa” and “Mama” act like punctuation marks that glue the emotional meaning of the work together. Likewise, we must adjust to the inexplicable switches between sepia and colour — as if this too is part of the magic. Tarkovsky’s longstanding reputation for slow, single-take sequences is both deserved and reductive. While it’s certainly true that the Russian director has inspired whole waves of filmmakers with scenes of notable duration, he also understood as well as anyone how to mix things up. Mirror, which came at the midpoint of his career, might be approached today as the summation of two conflicting styles that run through the master’s work: complex, drawn-out long takes on the one hand, and exhilarating montage on the other. Indeed, some of the images in Mirror are all the more beautiful for being so fleeting. And while many of them unfold in slow motion, the film itself never feels slow. Though he helped legitimise a form of filmmaking that was free from the pressure to constantly advance story, Tarkovsky grasped that brevity was the true soul of poetry. Maximising their visceral impact, he cuts his slow-motion scenes short at the very moment they jerk to dramatic life. As when a bird crashes through a window, for instance, or when another takes flight from the hand of a dying man. 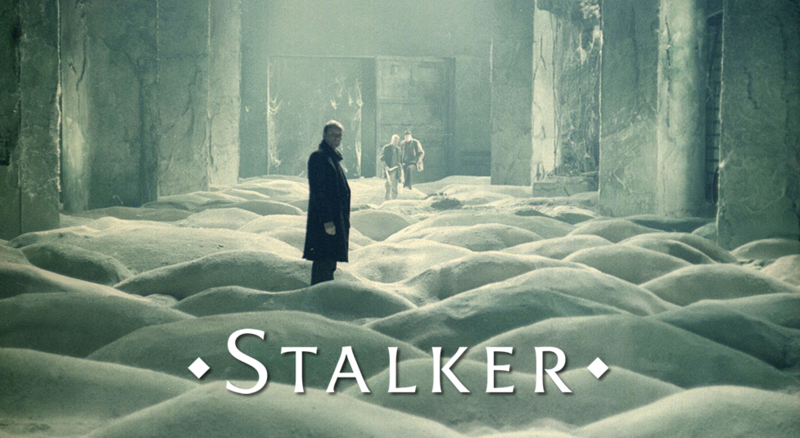 Stalker contains just under 17 minutes of music – a tiny fraction of the film’s 160-minute runtime – yet its otherworldly atmosphere and subtle science-fiction twist rest on Andrei Tarkovsky and composer Eduard Artemyev’s extraordinary handling of sound. Long, disorienting sections of near-silence, echoes of classical music in the clatter of passing trains, a locomotive rhythm dissolving into eerie electronic drones – nothing is quite what it seems when you enter the Zone. Even at the end of his career, Tarkovsky had conflicting ideas about the purpose of music in cinema. In his book ‘Sculpting in Time’, published just before his death in 1986, he emphasised how “important and precious” music had been to his films, but admitted: “In my heart of hearts I don’t believe films need music at all.” In Stalker, he attempted to resolve this contradiction, showing how the barest use of sound could be even more expressive than an emotive musical score. He directed Artemyev not to write music but to use sound to create “states and conditions” establishing the Zone’s atmosphere of unreality. Watching the film, our suspicions are raised through subtle changes – a distant river suddenly becomes audible, beckoning our three travellers, or we hear a breeze but notice the grass isn’t swaying. The laws of physics do not seem to apply in this strange territory. Artemyev, one of Russia’s pioneers of electronic music, used the British-made Synthi 100 synthesizer to build on this alien mood. Stalker’s short musical score, first heard in the opening titles, places the long, airy drones of the Synthi 100 under a flute and an Iranian stringed instrument called a tar. This suggestion of Eastern music (particularly Indian classical music, where a tanpura provides a continuous harmonic drone underneath a sitar’s melody) adds to the sense of dislocation – we’re a long way from the sepia-toned Russian town where we first encounter the Stalker. In Stalker he further loosens our grasp on reality by hiding fragments of famous classical pieces (La Marseillaise, Bach’s Tannhäuser Overture, Ravel’s Bolero and Beethoven’s Ninth Symphony) in the din of passing trains, like the everyday illusion of hearing a familiar song under the noise of a locomotive. Just as the experience of mishearing a melody shows that what we perceive as reality is always coloured by our perception, so we might suspect that, in their quest for the Room, the Stalker, Writer and Professor are really searching for themselves. On their long journey into the Zone, the rhythmic clanking of the motorised trolley dissolves into synthesised drones and metallic echoes. The camera ignores the moving wheels and much of the passing scenery, instead panning between the travellers’ faces; we seem to enter their very thoughts as they cross into the unknown. Their journey is not merely a physical effort, but a mental transformation. Tarkovsky and Artemyev’s achievement is to erase the distinction between the physical world and our inner lives. Andrei Tarkovsky made Nostalgia in Italy toward the end of a career cut short by his death from cancer. It was the first feature he made abroad, and its culturally alienated protagonist can be seen as a mirror of his own deep homesickness and longing for Russia. Tarkovsky had forged his career under the Soviet regime, but had bitterly struggled to avoid having his work suppressed by a bureaucratic studio system tasked with realising the state’s view of cinema as a propaganda tool to indoctrinate the masses with heroic communist ideals. He alarmed the authorities with his highly intuitive, personal and poetic approach to directing. His films, which all deal with spiritual crisis, tend towards a dream logic, incorporating visually stunning imagery with fragments of memory in a manner that defies simple, set interpretation. He did not overtly identify as a political dissident, but he found the pressure exerted by the state on his ability to create with unhampered authenticity so taxing that after going to Italy in 1982 to shoot his sixth feature, he announced he wouldn’t return. The Soviet authorities actively prevented Nostalgia from winning the prestigious Palme d’Or at Cannes. This obstruction only strengthened Tarkovsky’s resolve not to go back to his beloved homeland, even though his young son was there and not permitted to leave. Tarkovsky had made autobiographical work before, his 1975 masterpiece Mirror being essentially a weave of childhood recollections set into the wider context of Russia’s tumultuous history. The fictional story of Nostalgia, which he dedicated to his mother, holds clear parallels to his own predicament of self-imposed exile. A Russian writer, also named Andrei and played by Oleg Yankovsky, has travelled to Italy to research compatriot 18th-century serf composer Pavel Sosnovsky. Andrei is suffering in the throes of a profound sense of displacement. The companionship and declared affection of his beautiful interpreter Eugenia (Domiziana Giordano) only serves as an additional strain. The tension between creative freedom and ancestral belonging troubles his thoughts and is an irreconcilable problem echoed in the fate of Sosnovsky, who had felt compelled to return to Russia despite knowing he would be enslaved again. There, he had turned to drink before committing suicide. Tarkovsky often used rain and crackling fire in his work to create oneiric, mystically charged worlds teeming with the elemental grandeur of nature. Nostalgia plays out in ruins flooded with water with dripping walls in which indoors and outside merge; in the eerie haze of a steaming Tuscan spa; in a pool in which Andrei attempts to walk from one end to the other without letting a candle extinguish. This last act is called for by local Domenico (Erland Josephson), who may be martyr or madman and who makes an extreme stand against the catastrophic state of the modern world. A final iconic image shows Andrei lying with his dog in front of a Russian dacha, nestled inside an Italian cathedral. Tarkovsky once claimed, after all, that Russians are fatally attached to their roots. 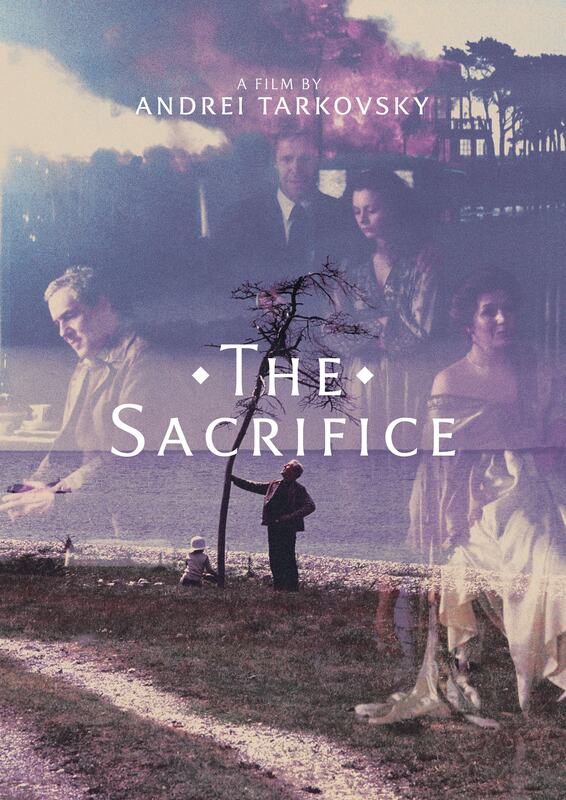 In May 1986, a month after the Chernobyl disaster, The Sacrifice won the Grand Prix at Cannes. Andrei Tarkovsky, at the age of 54, could not accept the award. He was in Paris, battling lung cancer. The prize was collected by his son, Andrei Jr. The Soviets had waited until the recalcitrant genius was beyond cure before granting his children permission to stray beyond the Iron Curtain. Back in Russia, the award went unreported by the state media. Tarkovsky died, in exile, later that year. And so The Sacrifice, this Dostoyevskian epic of apocalyptic grandeur, can be seen as his final farewell. Ingmar Bergman once said: "Tarkovsky for me is the greatest director, the one who invented a new language, true to the nature of film, as it captures life as a reflection, life as a dream." The Sacrifice seems to be the Andrei's way of returning Bergman's compliment. It was shot in the summer of 1985, on the Swedish island of Gotland (the Swedish military denied Tarkovsky access to Bergman's island of Fårö). Employing, to large effect, the Swedish language, Tarkovsky also used two of Bergman's veterans - the cinematographer Sven Nykvist, and the actor Erland Josephson. In the vein of Bergman, the film asks questions of Biblical proportions to frame a midlife crises. The Vatican includes The Sacrifice as one of 45 ‘great religious films’, yet it is essentially a story about a rather dysfunctional birthday party. Josephson plays Alexander, a writer and academic of unflinching sincerity whom tells us, in an opening monologue, of humanity’s great moral failings in the authoritarian age of nuclear arms. "Humanity is on a dangerous road,” he says. “We are living like savages." Quite a way to kick off one’s birthday. We meet him in his remote, spartan home on the banks of the sea, joined by his wife Adelaide (Susan Fleetwood), her teenage daughter Martha (Filippa Franzén), and their young son (Tommy Kjellqvist), referred to only as Little Man, and whom cannot speak. Two housemaids hover in the background, and he is visited by two friends whose provenance remains uncertain. The roll of thunder is heard in the skies overhead, and then the thunderous shudder of military aircraft passing by. We hear mysterious cries, faraway in the night. Then a voice on the radio intones with words that shake the party; a nuclear holocaust is imminent, the world is about to end. Only a deal with God, an anti-Faustian-pact, holds the chance of salvation. In One Day in the Life of Andrei Arsenevich, a documentary about Tarkovsky from another cult cineaste, the late French director Chris Marker, we are given access to quiet, revertant footage of the great man brought low with sickness, greeting his family after years apart. Marker's film contextualises this with, seven months hence, backstage filming of The Sacrifice. Such sunlit, shimmery footage of Tarkovsky - already ill, exactingly and, in his own way, joyously planning the film's climatic end - is a lovely foil to this weighty, portentous film. 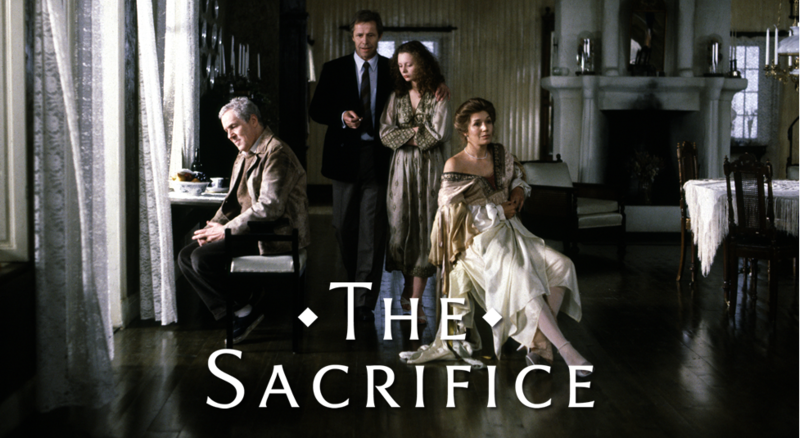 For it is possible to read The Sacrifice as a metaphor for Tarkovsky’s own state of being. Six years earlier, he seemed to foretell the Chernobyl disaster with Stalker, which takes place in an abandoned, desolate expanse called The Zone. Tarkovsky, his wife Larisa Tarkovskaya and Anatoli Solonitsyn, the lead actor in Stalker, all died from a comparable type of lung cancer (Vladimir Sharun, the film’s sound designer, claimed the director and cast were exposed to lethal carcinogens by the production’s proximity to a chemical plant). When he shot The Sacrifice, he must have known the end was in sight. In the opening act of The Sacrifice, Alexander helps his son plant a tree by the sea. Without speaking, the small boy listens to his father’s instructions - if the tree is watered, every day, it will become something larger than ourselves. It will outlast us, and in that act, a small part of the world will change. And so, in the final moments of The Sacrifice, we see Little Man, now a bit bigger, carefully watering the sapling, still fragile but steadily growing, winding its roots into the earth. What a way to sign off. That maybe, in the act of dedicating oneself to small tasks, in the embrace of sacrifice, we might find our chance to build a legacy.